Nectar Catering and Events at 120 N Stevens is having a free event with former WSU and NFL quarterback Drew Bledsoe on Friday, April 6 from 2:30-5pm. After a wildly successful NFL career, Bledsoe returned home to Walla Walla, in 2007 to plant his first estate vineyard and began partnering with Charlie Figgins of Leonetti to establish Doubleback Winery. 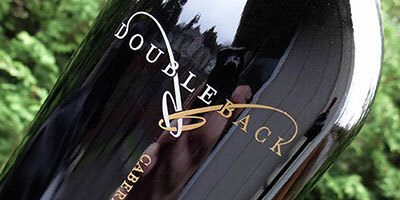 Drew Bledsoe and business partner Josh McDaniels will be on hand to release the newest Doubleback wines. Go to nectarcateringandevents.com for all the details. On March 10 STIX Diabetes Programs held their 16th annual 'Share the Experience' Dinner Auction at the Spokane Convention Center in the Centennial Ballroom. It was a sold-out event at nearly 400 guests. They raised an astonishing $220,000! The event included a plated dinner, silent and live auction, a few games and, of course, a raise-the-paddle. 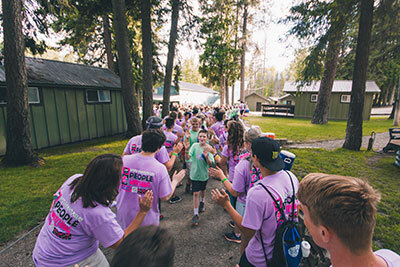 STIX Diabetes Programs was formed in 2000 to make summer camp a reality for children living with Type 1 Diabetes (T1D), an autoimmune disease in which the body's immune system attacks the insulin producing cells until the pancreas no longer produces them. The cause is unknown and there is no cure. People need insulin to live. Those living with T1D must inject insulin to survive and constantly monitor their blood sugar, day and night. This constant monitoring makes attending an overnight camp impossible without the medical team and vigilance a diabetes camp provides. Camp STIX is a week-long summer camp experience for kids with T1D but that's not all. STIX also provides support, information and programs all year to help kids and families cope with this chronic disease. An acronym, STIX stands for Support, Tradition, Information and X-citement. An all-volunteer Board and Camp Leadership Team manage the mission of STIX with over 200 volunteers to make camp possible for over 200 campers age 9-18 every year. With kids diagnosed as early as infancy, Camp TWIGS, a non-residential 3-day camp was formed in 2016 to serve children age 6-8. Now in its 18th year, STIX continues to grow and seek more opportunities to serve the T1D community. If you would like to learn more about STIX Diabetes Programs or how you can make a difference in the life of a child living with T1D in our community, visit campSTIX.org. Until there's a cure...there's camp! 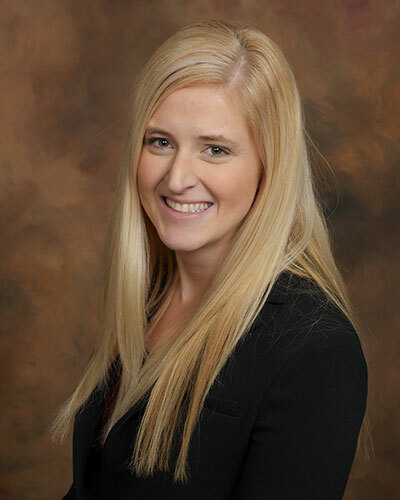 Nicole L. Schuh has joined Spring Environmental, Inc. as Operations Manager for Spring Environmental and the Cedar Conference Center. Nicole returned to the Inland area last fall from Anchorage, Alaska where she was Executive Director of Alaska Business Week for the past 4 years. Prior to that Nicole was Operations Manager for Alaska Aviation Museum and Assistant Coach for Men's and Women's Swimming at Limestone College. She is a graduate of the University of Idaho with a B.S. in Advertising and an M.S. in Recreation. Nicole joins a team which provides environmental, health and safety services throughout the Pacific Northwest. Spring Environmental's website is springenvironmental.com. On the heels of their recent opening in downtown Spokane at 909 West First Avenue, Incrediburger and Eggs is planning a second location in the Ramsey Crossing in Coeur d'Alene. Incrediburger is a fast casual style restaurant serving an array of fabulous gourmet burgers, egg sandwiches and boozy milkshakes. You can learn more at incrediburgerandeggs.com or on their facebook page. The City of Spokane is recognizing businesses that have excelled in the management of wastewater generated as part of their processes. "These businesses are being good stewards of our environment and help the City operate its wastewater treatment system efficiently, which is critical as we work to achieve ever more-stringent water quality standards," says Scott Simmons, the City's Public Works Division Director. "We appreciate all the work that has been invested in these efforts." The recognized businesses achieved 100 percent compliance with requirements in their industrial wastewater discharge permits for 2017. Businesses are required to have such permits either because they produce a large volume of wastewater or because they discharge pollutants that can disrupt wastewater treatment processes. The outstanding organizations include: Alsco-Steiner Corp., Darigold Inc, Exotic Metals Forming Company LLC, Goodrich Wheel & Brake, Carbon Operation, Johanna Beverage Company LLC and Triumph Composite Systems. The City processes about 34 million gallons of wastewater daily. The City actively works with businesses to prevent harmful or damaging substances from being discharged into the sewer system. Straying from an old school formatted fashion show, NOOSKOOL aims to be a cohesive exhibition by five local artists, blending fashion, cinema, technology and performance art. Their art gang spent the last six months sewing, designing, coding, shooting, directing, and editing a mixed media temporary art experience. Viewer discretion may be advised. (PG13) This is not your mother's fashion show. Casey and Gianna Reynolds pooled their resources of 20 friends who work in film and fashion to create a spectacle exhibition unlike any Spokane has seen. For more information, contact Casey Reynolds 509-991-5424. This Wednesday, March 28, YWCA Spokane will be presenting Avista with their annual Community Partner Award at the agency's Partners In Progress annual meeting. This event runs from 8:30-9:30am at the historic SIERR Building at McKinstry, 850 E Spokane Falls Blvd, Suite 100. Inland Northwest Land Conservancy and Vino! A Wine Shop are hosting the 2nd Annual Walla Walla Wine Invitational here in Spokane. This event brings over 30 of the best Walla Walla wineries to one location in Spokane. This will be held at the recently restored, historic Washington Cracker Building (Overbluff Cellars Event Center) on Sunday, April 29. You will have an opportunity to sample and order wine, sample appetizers, purchase raffle items and live music will be performed by local musician, Phil Lamb. Tickets are available at wwwi2018.brownpapertickets.com. For questions or more information, visit inlandnwland.org. Mikayla Puckett, Chipman Moving & Storage in Spokane, recently received an honorable mention for United Van Lines' annual Heart of Quality awards. The awards were created to recognize move coordinators throughout the van line who provide customers with exceptional service. The recognition acknowledges excellent individual performance as measured by United's customers on its post-move survey. Winners and honorable mention recipients were chosen within agency size categories in the United system for their performance during 2017. Honorees were chosen from move coordinators at more than 300 domestic United Van Lines agencies. Chipman Moving is a locally owned Agency for United Van Lines and has been operating in Spokane since 1932. They are a recent recipient of United's Customer Choice Award for 2017. IpsaOptio Business Solutions, a company providing affordable accounting, website design and social media management, among other services, recently hired Fred Bowman as Business Consultant and Customer Service Representative (CSR). This position was created to reach out to local small business owners and provide them with information about the solutions IpsaOptio can offer to many of their shared challenges. Bowman has a background in business management, accounting, tax returns, human resources and he specializes in new business start-ups. He was one of the founders of the Spokane Scotties Soccer Club and the Spokane Spider Soccer Club of the United Soccer League where he was Operational Director. IpsaOptio is a fast-growing business in Spokane that was started in early 2017 by partners Searri Shipman and Mindy Gagne. It offers a variety of customizable services in Accounting, Payroll, Website Design, Social Media Management, Human Resources and Notary Public to clients in the Spokane and Coeur d'Alene area. The phone number is 509-822-7952, and the website is www.IpsaOptio.com.